This is part of a series of book covers I created for my MFA thesis at SVA. I was lucky enough to work with the amazing Paul Buckley, Creative Director at Penguin books as my thesis advisor, who diligently mentored me through this project; an invaluable experience. I created these images based on Freud's theories about Love, Hysteria, Obsessions & Phobias, and Narcissism using animals to represent each, and then created mock-book covers, including all hand-lettering and design. 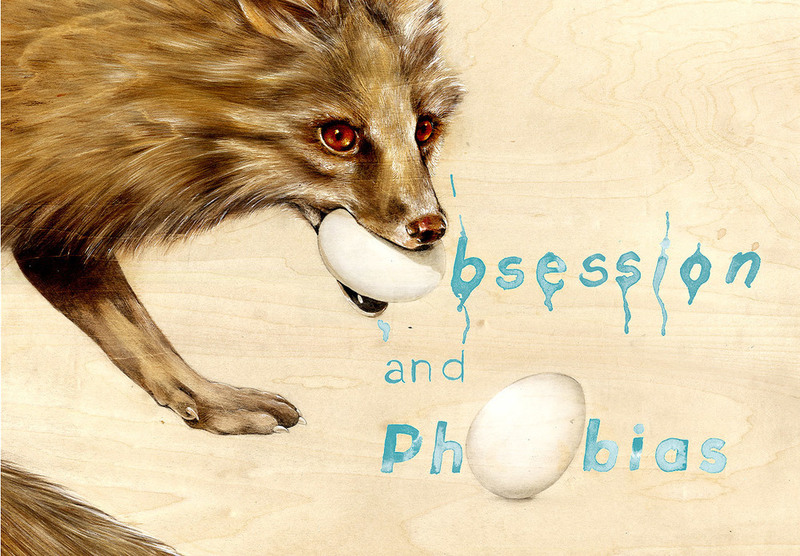 I used a fox stealing an egg to depict "Obsession & Phobias".